My name is Leah and I am a wife, mom, daughter, niece and friend — I fall under so many umbrellas. I live in Denver and I am writing this letter today as a niece to my uncle. My mom’s side of the family has been plagued with kidney issues – especially her brothers, two of whom are battling kidney disease. The son of my one uncle will donate a kidney to his dad – my other uncle has small children who cannot be considered donors. I am going to be the living donor to this uncle. Without a kidney transplant, neither of my uncles will survive for the long-term. My uncle is being treated at the University of VA in Charlottesville where I will be flying to for pre-testing on April 13th. While some of my medical expenses will be covered by my uncle’s insurance, I will still have other uninsured transplant-related expenses such as: one round-trip airfare and a two-night stay for the pre-testing, 2 airfares at approx. 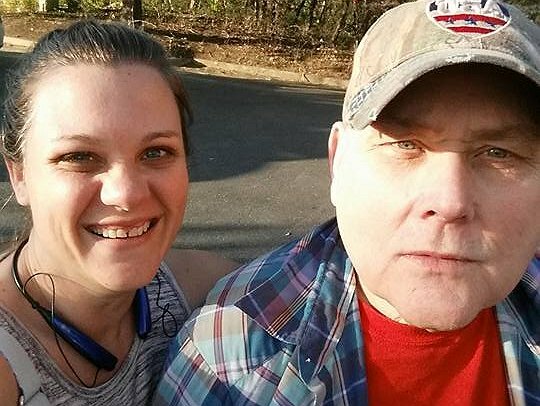 $1500 (my husband will travel with me and serve as my caregiver) and temporary lodging expenses in Charlottesville post-transplant for up to 18 days. I will also have the expense of childcare while I am in Charlottesville. To help offset such expenses, a fundraising campaign in my honor has been established with Help Hope Live, a trusted nonprofit organization that has been providing community-based fundraising guidance to patients and their families for more than 30 years. All donations are tax-deductible to the full extent allowed by law, are held by Help Hope Live in the Midwest/West Transplant Fund, and are administered by Help Hope Live for transplant-related expenses only. If you would like to make a contribution please click the DONATE NOW button. I appreciate your time and generosity, whether financial or just words of encouragement. Thank you for thinking of us. Wow! I’m home. We’ve been home a little over a week now. The biggest shock? The ELEVATION change!! WOW! I was up and going a few day after surgery and was able to sight see a bit and was up to about 7000 steps without too much issue. Then I get to Denver. I’m exhausted. 2500 steps is a bit outside what I’m down for but I’m trying to gently push myself to regain the stamina I seem to have lost after nearly 3 weeks at nearly sea level. Thank you so much for all you all have done – the meals while I was gone, the donations, the prayers, the calls, emails, cards… WOW! Thank you all so very much! At this stage of what I know, I’m healing and my uncle is doing great! My kidney worked on the table and has been doing pretty well ever since. I’ll post some pictures from the trip a little later. Thank you again! Today is the deadline for registering for the bunco event! 2 days until we get have blast playing bunco and trying to win prizes. 3 days until my husband and I fly away to Charlottesville, Va. I am so grateful for my parents. They are doing an amazing thing in just helping by watching my children while we’re gone. The procedure is in 8 days. 8!! A week and a day until I have one less body part! WOW! A week and a day until my uncle will hopefully never have to be on dialysis again. It is truly astounding. So close. I’m excited to help him. I’m already missing my children. WOW!! It is SO CLOSE!! Had my big blood draw yesterday (that was an adventure), registration for the Bunco Benefit Bash closes tomorrow, the fundraiser is on Friday (3 days), I leave in 4 days and surgery is in 9 days!!!! WOW WOW WOW! Hope I get to see a lot of you on Friday!!! Time is counting down quickly! 17 days til the transplant. 13 days until I fly from Denver, Co to Charlottesville, VA with my husband. 12 days until the last fundraiser before the transplant. 10 days until registration closes for the fundraiser (you can register for it on this page!). Hotel and flight arrangements have been made. Still need to make the car arrangements. Itinerary is set for the first week. Monday – blood work and going over the details of the procedure and the prep work I have to do on Tuesday and Wednesday. Tuesday and Wednesday will be doing said prep work. Thursday the 13th is the transplant! Wow! It goes by so quickly! If you can’t help financially, please pray for my uncle, our families, and me. My kids will be without my husband and me for close to 3 weeks. I’ve never been a part from them for that long. My wonderful parents will be up in Colorado, watching them. This will be not just physically taxing, but emotionally as well. Glad its happening and we have a date! My uncle has been medically and financially cleared!! We are good to go for October 13th!! I have book flights for the 8th of October to be able to have a restful day at church on Sunday and then testing on Monday. Lots of prep work Tues and Wednesday for surgery Thursday! 3 WEEKS AWAY!! We’re excited and nervous. Please pray for this journey for us. Pray the kidney works well for him and that this eases the issues he’s had with dialysis and all the things that go along with it. Thank you all! Spoke with my uncle today! He’s finished his last test he needed to be cleared for surgery! YEAH!! All we need now are the funds! The hospital still needs $1500 from him for us to completely secure our Oct 13th, surgery date. He’s happy to hear I’ve been speaking closely with my coordinator and had already begun the process of securing the date. Of the $6500 I have listed as a goal, $1500 of that will go to my uncle. As soon as I have that raised, I’ll contact the coordinator and have them request the payment from HelpHOPELive. His having the money he needs for the procedure is first in my mind. What I need will come after. I love you all and are so happy you are following our journey. I’ll post a link where you can order from the 31 Gifts party if you are unable to make the event either because of time or distance, when I have it. I have a couple of fundraisers coming up!! One is listed below – on August 24th with Thirty-One Gifts. Another one is currently being planned through Premier Jewelry. I am still looking for a great location for that event and will have it posted as soon as I have more information. I will post links on here of the facebook event page as well as the links for people to order online if they wish. I had a great weekend! I had the opportunity to meet with a leader in my company, Life Leadership, to find out how we could make Help Hope Live a Life on Life project for our team. I’m so excited to have been able to come down to Phoenix to learn from him and his wife at the seminar AND be able to begin to think of what a project for our team would look like. I hope all of you are doing well and I so appreciate you following our story and being willing to help us where you can! Love you all! Current procedure date is Oct 13!!! Barring any issues with my uncle’s health and raising the last bit of funds, this will be happening in about 8 weeks! I’m contacting Help Hope Live to see if I extend how much I need by the $1500 my uncle still needs, if I am able to allow him to use those funds or not. If not, I may be starting a Help Hope Live account for him as well. His church is helping raise money and his wife is working all she can to help make the difference up but it is slow going with 1 income and 4 people. Please consider helping. I want to help my uncle live a longer and healthier life than he would without the transplant. Dialysis is hard on a body. I’ll be posting fundraising opportunities – One coming up (date to be determined) is through 31 bags! I am at $784 of the $5000 I’m estimating I still need after the assistance of the Nat’l Living Donor Assistance Center’s help. They only cover 14 days and I’ll be there 19. Thank you all who have helped so far. I can not express my gratitude enough!! I’m back from Charlottesville! It was a busy last 3 days with travel, testing and travel again. I was able to see my uncle, aunt, and cousins after testing was over. It was wonderful! I’ll post pictures of them with me from a different computer a little later. I am in a holding pattern right now. The only unknown currently is the anatomy of my kidneys which is what the CT with contrast was for (which was my final test of the day). I found out the procedure may not happen until September due to some tests Gary needs to have run before we can go ahead with the procedure. That was information my coordinator didn’t have (Gary has a team and I have my own separate team. They don’t communicate extensively until the time of scheduling the procedure.). The visit up there solidified my belief that this is the right thing to do. It is needed and wanted and a blessing for my uncle and his family as well as a lesson in what love means for my own family. Thank you all for your generosity to this point. I have some fundraisers through Premier Jewelry and a Wine and Wrinkles party (two companies, one party). I’ll post a link to my facebook page where the events are created. Thank you, again. I’m flying out tomorrow!! I’ll know in 2 weeks which of my kidneys they will be taking and giving to my uncle! So exciting. Thank you so much for your continued support! Please pass on the information and let people know about us by clicking on the share this page area on the right of the page! I’ll update again when I get home on Thursday evening. I fly out in a week!! I’m holding a fundraiser through Premier Jewelry on the 16th of April at 2p. All money raised from that event will be donated to this campaign. Brooke Grant is my host and her site is bgrant.mypremierdesigns.com Feel free to contact her or me for ordering information. 25% of sales will come back to me and $25 for each booking made as well. She’s very excited to help us reach our goals! I also have a friend with a concrete business in the Denver metro area who will donate $150 for anyone who needs work and contacts them. Please let me know if you need concrete work! Thanks you very much! We appreciate all of you who are praying for us and encouraging us through messages and phone calls. Much love to you all. Hello! There hasn’t been a whole lot to update, which is why things have been quiet. I leave on the 12th for Charlottesville for the on-site testing and interviews. Depending on flight times and airlines, I’m looking at about $400 if I can book right now, which I can’t. That is just my airfare. I still need to look into where to stay close to the hospital as I am to be at the facility at 8:30am and rent a car. Thank you for following my story and considering helping us. It means so much to me and my whole family. You can donate by sending in a check (see the mailing a check box on the far right of the page) or by clicking donate now under my picture. Please, even if you aren’t able to donate, sign my guest book so I know who is following us. Thank you again for your consideration. The results of the match came in yesterday, Pi day. My uncle Gary’s blood did not react to mine at all! This is awesome! I now will travel to Charlottesville on April 13th for additional. I’ll need to be in C-ville on the 12th to make sure I’m ready for the 9 am start time. I will be testing all day on the 13th so there isn’t a good time to plan to leave that day. I will come on on the 14th. That may be extended as they are able to schedule any appointments for me they need me to make at that time. Please select the Donate Now button on this page to help us out. It means so much to me and my family!! Thank you! I wish I could be there tomorrow night to wish you well and tell you how amazing I think you are. Praying for your peace as you enter these next days of unknowns. You are such a wonderful and caring person. You are beautiful inside and out!